In another post ( JoeE SP9 ) mentioned he purchased his first two LP's in 1967 and even new what they were . anyone else recall what there first LP was ? My roommate and I had been talking about getting a record player at the tail end of our freshman year of college for our sophomore dorm. It turned out that his uncle had one to give away -- an automatic JVC 'table. With this in mind, I knew i had to get some vinyl. Cue summer after freshman year (2006): I'm playing beer pong in my friend Alex's basement/garage/hangar back in Birmingham, AL. Gigantic room with two beautiful sportscars parked on the side and boxes upon boxes of storage. Being the nosy dude I am, i rummaged through their storage and found a big box of LPs. I picked out some choice cuts from the box: There Comes a Time by Neil Young, Honky Tonk Chateau by Elton John, Tea for the Tillerman by Cat Stevens, and Led Zeppelin's IV and darted upstairs to talk to his parents: "Can I have these?" They were so reluctant to say yes. I didn't know why. I walked down to the local 7-11 and plunked down around $5 for Chicago II. I still have the original, though it is too scratched to play, and I still love the music. The second record I got was Grand Funk Railroad live. It has not aged as well! Hippy hair, bongs for sale, and vinyl displayed everywhere, I was scared but also excited... almost bought 'Cheap Thrills' instead just cuz it looked like a comic. But no, I bought...on sale for $6.99...The White Album, cuz in my young mind, two records were better than one(...as 'Pepper' was a single disc). I can not express the amazement and wonder I felt when the needle hit the groove!!! One of the most significant and important moments of my life! I have not looked back!!! Back in the dead of winter in early 1973 when I was 11, I bought 3 LP's; Beatles Red Album 1962-66; Beatles Blue Album 1967-70 and Deep Purple - Made In Japan ... all double LP's too. IIRC - my first LP was a Johnny Cash at Folsom Prison that my Dad got me for doing well at playing hockey (although I suspect he really bought it for himself). The second may have been a gas station promo LP our neighbour got me for helping with the strawberry crop - I believe it was (what eventually became) the Guess Who on side 1 and (what became) the 5 Man Electrical Band on side 2. But damn - that was a long, long time ago. This reminds me of a discussion I was having with my bandmates yesterday about the importance of the Beatles. My singer claimed they had no depth. My bassist claimed that they are the reason why so many musicians "got into" music. The emotion that you felt with that first sgt pepper listening i think is attached to the same reason the beatles turns so many people to on to music: the Beatles are so musically simple (not simple in the sense that they're progressions/songs/melodies are not complex) but simple in the context that they're music is graspable. Easy to digest. Everything they present to you is exactly what you're supposed to take in. Maybe that's why my singer claimed they have no depth. Maybe he's right. That feeling of forlorn sentimentality you get from "In My Life" you got from the first time of listening to it or rowdy excitement from "Sgt. Pepper's Lonely Hearts Club Band" is the same feeling you get now. Nothing more, nothing less. First Elvis disc I can recall owning , was a little 45 with JailHouse Rock on one side . Anyone recall what was on the flip side ? We all had toilet plungers in the corner of our bedrooms with 45's stacked up on them , ( it was the 60's ) . Tommy - The soundtrack performed by The Who - 1975. My dad bought this one on 8-track tape and when he would pick me up for visitation or to carry me to football practice, he would be playing this one in his 1974 Pontiac Grand Prix. I loved it and got it with money I made cutting grass. The first one I remember buying for myself was Sticky Fingers with the zipper in the cover. Still have it and the zipper has ruined the cover of many a neighboring album. Okay we have to go way, way back to 1970 when I was just a teenager. 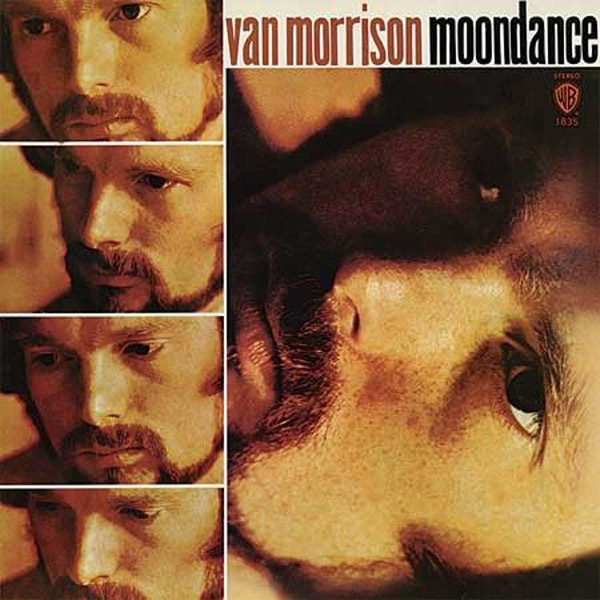 The first LP, as opposed to a 45 rpm single, that I can remember purchasing on my own, with my very own money was Moondance by Van Morrison. Well this is an easy one for me since I just got into vinyl! I just bought my first slew of records after borrowing some from my Dad. I got Joe Jackson Night and Day and that was the first one I plunked down on the needle. For a buck I can't believe this record is in the shape its in. I really can't wait to get more! Wow, a blast from the past!! Damn, this was 41 years ago. Got these two gems on my birthday in 1971. They were from a relatively new show for the time, that debuted in 1969. Can't beat that 'Rubber Duckie' tune and Kermit's 'Green', lol. Not sure, but first LP was probably something by Paul Revere and the Raiders, or Dave Clark Five. The Guess Who, Three Dog Night, and Simon & Garfunkel bought to play on my brand new Panasonic compact stereo! A 45 of Five Man Electrical Band singing Signs, The Who- Who's Next, The Guess Who- So Long Bannatyne and finally Three Dog Night- Harmony. All within a week, then it was the soundtrack to 2001 A Space Odyssey. Also Sprach Zarathustra got me into playing trumpet. Still play today. "The Muppet Show" soundtrack on Arista.